We are proud to serve the residents of Basking Ridge with top quality commercial cleaning and disaster restoration services. Whether your business needs regular cleaning or your home needs a deep scrub, you can trust us with any job—large or small, and we’ll get it done right. We’ll bring your carpet back to life, put that mold problem down to rest, and return your basement to pre-flood conditions for a fair price. And so much more—call us for special projects! Your house is a home—make sure your carpets aren’t holding onto risks to your health. Did you know that your carpet should be professionally cleaned at least once a year? With all the microscopic allergens, mites and dirt embedded in your carpet, a normal vacuum just doesn’t cut it. We offer trained professionals with over 60 years’ experience. Not only are we equipped with the tools, training, and expertise but also an unbeatable price! 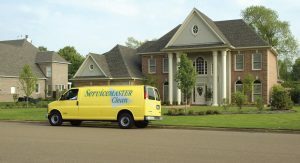 ServiceMaster Cleaning and Restoration Services has the tools and the knowledge to clean up your heaviest messes and restore your most destructive home disasters. Call today at (866) 856 – 4007 or request a quote online to get us into action!